Tony Reinhart and I headed out from the Hub to hit The Yeti for lunch today. Rolling by 305 we heard Jesse Treneer just getting into her first set. Sounded great and I’m going to (virtually) high-five Jesse for momentarily stepping away from the mic to help me get a good shot. All musicians: take note. There’s Tony in the reflection waiting patiently. Other photographers make the best kind of friends for photographers, because they understand this stuttering way of walking down a street, stopping, shooting, walking, repeat. In DTK, music made my day. 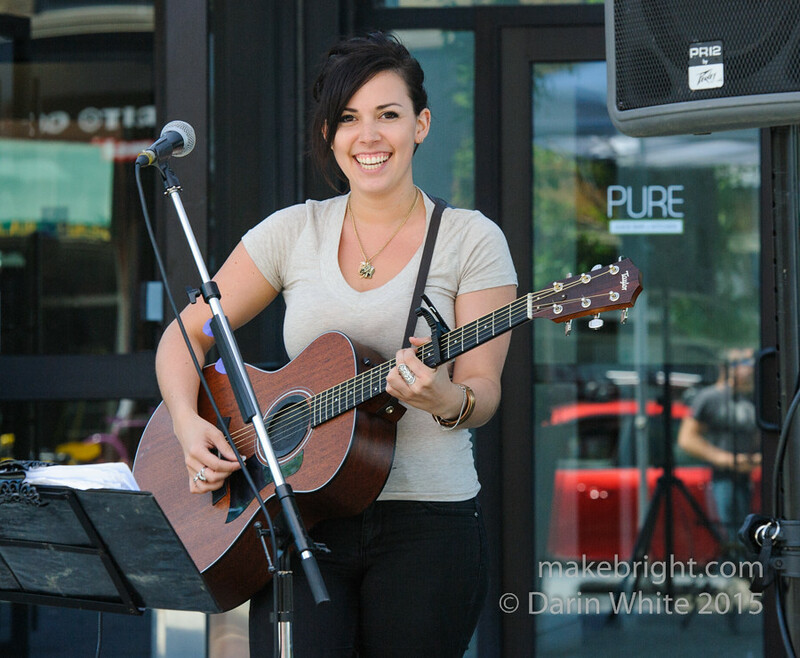 This entry was posted in photography and tagged 1shot, Kitchener, music. Bookmark the permalink.